STEELMAN Best Practices are the easiest way to set up a business solution that provides unlimited scalability, best-of-breed functionality, complete integration, and easy collaboration for your Metal Business. With SEMS you can reap business benefits quickly and eliminate as much risk as possible. SEMS provides you with the combined benefits of a powerful solution and proven business expertise that stems from over 15 years collaborative efforts between STEELMAN and its metal customers. 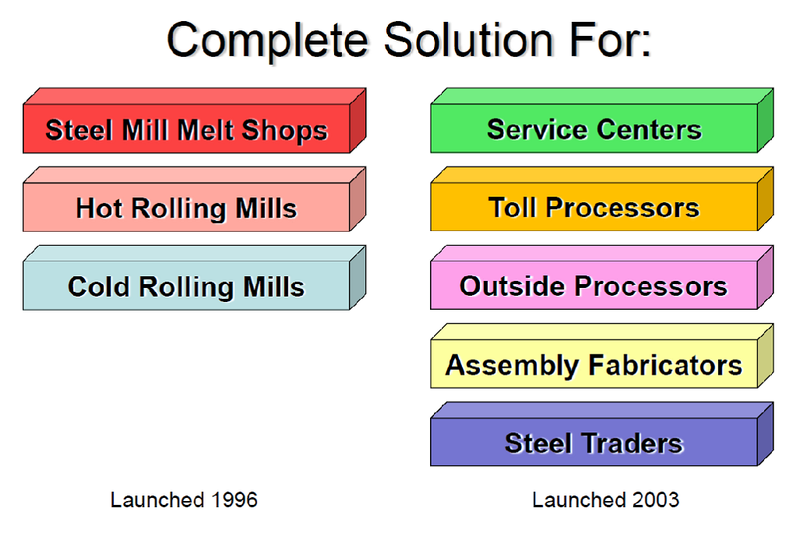 SEMS is designed to reduce operational costs, increase revenues and better manage metal service centers, distributors and processors through its state of the art web based information technology. SEMS provides integration from Quote to Invoicing and Purchasing to Payment. The integration insures high level of customer service for your customers with real-time ATP and CTP information. SEMS can save you substantial inventory costs by the use of our "Demand Planning" and Inventory Management modules. By reporting all of the demands placed on you by each customer, you are able to lower inventory costs by planning for these demands based upon historical sales, current sales and purchasing activities, therefore; having just the right amount materials on-hand. Best of all our system maintains a perpetual list of sales and inventory activities for better management reporting. This allows everyone to from sales, to production and executive management to accurately manage all aspects of your service center. You have all the integrated tools at hand to run a more effective, efficient and profitable sales and service oriented team.